Clickadu Video, Native, Popunder, Popup, Direct links, Mobile Dialog, Push advertising network details. Clickadu is one of the best advertising networks for mobile and web channels. The network has helped its clients manage 6,500 campaigns with over 240 million pop-unders and 210 thousand conversions generated daily. With 150 million daily impressions, Clickadu offers advertisers tons of quality traffic with premium sites to choose. The network is now covering more than 240 GEOs, giving its advertisers an unlimited reach to the most potential audience. 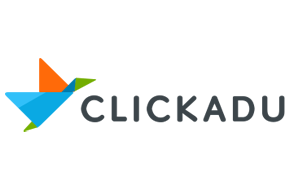 Publishers at Clickadu are offered very competitive rates for impressions of on-click ads, pop-unders or pop-ups, and on a CPM basis. Moreover, fill rate at Clickadu is 100%, compared to 30-50% at most other networks, so all your traffic is monetized! Clickadu also has a team of dedicated account managers who speak your language and are always willing to assist! You can check Clickadu reviews on Affbank and ask Clickadu Team any question by using the contacts above, especially about how to earn money! Easy to start, high quality of traffic (tested video and push-up ads) and responsive support team. For sure, Clickadu is a genuine ad network. It has many positive reviews all over the internet.